Ooh something different going on round here? Why there isn't any half naked, braless greasy haired photos of myself. For once! No, instead it's a poor attempt at some photo editor, trying to create a picture of house things. House things that I have recently bought, instead of buying clothes. I try to say it's hard. But it's actually quite fun. I finally think I'm becoming a grown up...! So apologies for my terrible TERRIBLE editing.. 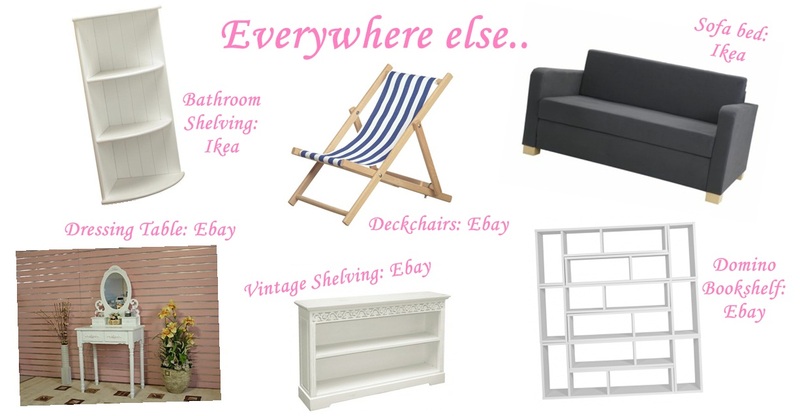 I shall link you to everything I have bought, however the stuff I don't link, I probably can't find anymore..! And yes, it's not all practical stuff. And YES there is a lot of flowers in vases, jugs and tea cups.. BUT I LIKE FLOWERS. You can never have enough flowers right? Three bathrooms equals a LOT of. cleaning. 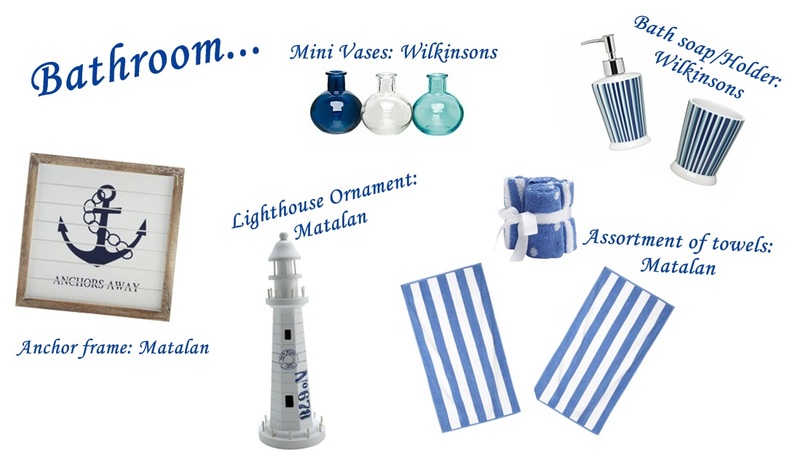 And I didn't think this through when I stood in Matalan today buying every nautical ornament just for fun. Littlebum would describe them pointless...! Dusting isn't my forte. But making a dull place nice is. Mini Vases. Soap Dispenser. Toothbrush Holder. Towels. Face Cloth. Lighthouse. Anchor Frame. Keeping it quite simple in the living room, with a purple theme running throughout. We have a huge room divider, and finally I have gotten my way after 10 months. NO DARK BOOKS! 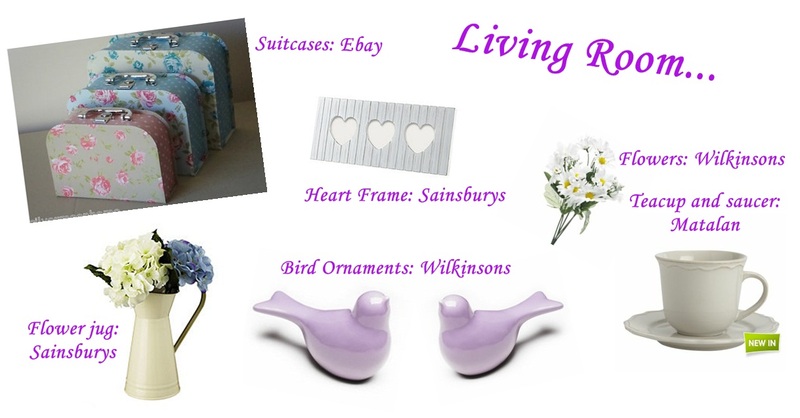 Instead, lots of flowers, birds, photo frames and candles. Heaven. Heart frame. Flowers. Teacup and Saucer. Birds. Flower and jug. Suitcases. Treating the third floor as a full guest room, we want nothing more than the best for them. Simple, warming and snippets of a holiday. And hey, if a sofabed and two beds isn't enough. for guests. There's always the deckchairs in the garden! Deckchair. Dressing Table. Vintage Shelving. Sofa Bed.